You may remember Sony Ericsson’s Facebook competition that asked its fans to do video reviews of the txt pro and the Mix Walkman. Today, we have the Sony Ericsson txt pro in our office and we thought we should take it for a quick spin on video too. The txt pro is an extra tiny phone and it’s got its eye on messaging – and more specifically, social networking messaging. The slide-out QWERTY is more comfortable to use than you might think just by looking at it (it really is quite small), but it adds to the thickness of the phone, pushing it up to 18mm. 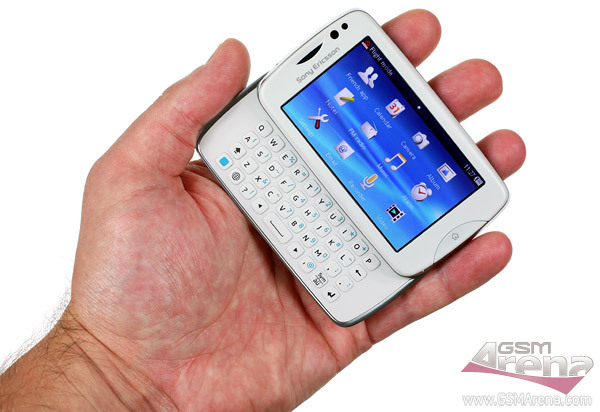 Still, the Sony Ericsson txt pro is light and the curved back makes it very comfortable to hold. And I don’t think anyone who wears tight jeans will be getting one of these (despite the “pro” in its name, the phone is quite youth oriented), so pocketability shouldn’t be a major issue. Disappointingly, the Facebook and Twitter icons in the menu are just bookmarks to the mobile sites of both social networks that open in the browser. Still, Facebook just released a Java app, so at least that’s covered (I installed it and it works). There’s Wi-Fi connectivity, so you can use SNS without worrying about data charges too. The Friends app and the second homescreen offer extensive options to communicate with up to five of your friends – their SMS messages, but also Facebook and Twitter status updates. It’s important to note that this is an early pre-production sample and the software isn’t finalized, so it lags quite a bit.